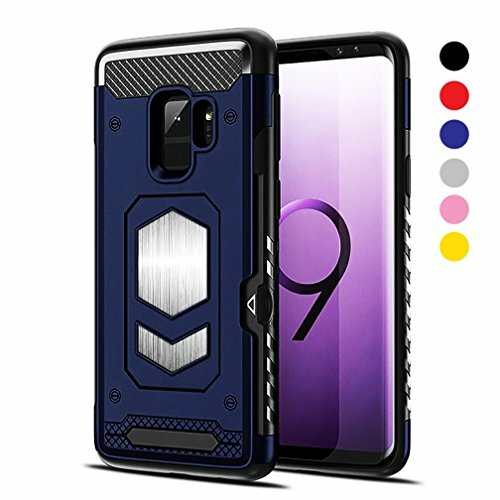 Samsung Galaxy s9 Case Gun Metal Series By JazLivThe Slim & Powerful Build Allows For A Sleek Modern Design With Ultimate Functionally & Protection For Your Technological Marvel .◆Raised Edge Around The Screen Of 0.03 Inches And Camera Of 0.02 Inches ◆TPU Gun Metal Shell Removable For Wireless Charging ◆TPU Gun Metal Shell Allows For An Easy Magnetic Car Mount Experience ◆ID/Card Slot Without Unnecessary Bulk & Weight Deflecting damage never looked so good. SLAM merges intense drop protection with modern styling for a case that transcends definition. When it takes a tumble, it dances back from danger with your device unscathed. When you pull it from your pocket, its sleek shape and burst of color captivates. Every JazLiv product is made-to-order and hand-inspected from corner to corner. With this, we can: ensure high-quality products, remain environmentally conscious by preventing excess waste, and most importantly, offer our employees a livable wage and health benefits. We promise 100% satisfaction & Offer A 30 Day Money Guarantee. The Gun Metal Series Case Also Comes With A 1 Year Warranty.. If you have any questions about this product by JazLiv, contact us by completing and submitting the form below. If you are looking for a specif part number, please include it with your message.